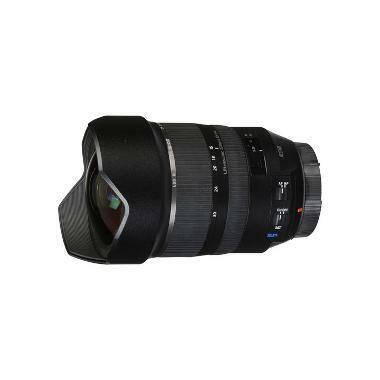 The Tamron SP 15-30mm f/2.8 Di USD Lens for Canon is an ultra wide and fast zoom lens. With a max aperture of f/2.8 the lens performs well in low-light situations while providing a shallow depth of field for selective focus. This lens is also equipped with VC (Vibration Compensation) image stabilization, which helps to decrease the appearance of camera shake to enable the use of longer shutter speeds or smaller apertures when hand-holding in low-light conditions. Multiple lens coatings included on the lens elements help increase, reduce chromatic aberrations, and ensure crisp focus in the final image. Fluorine coatings are also applied on the front element to repel water and prevent fingerprints. The Ultrasonic Silent Drive autofocus is quick and precise, while the full-time manual focus override allows for immediate fine-tuning even when AF is engaged. This lens is great for events, shooting in small spaces, fun group shots, and landscape shooting. • This lens does not accept screw-on filters.